Welcome to Tara Mandala San Francisco Bay Area Sangha, a satellite sangha of Tara Mandala Retreat Center in Pagosa Springs, Colorado, established by Lama Tsultrim Allione. We are a satellite sangha of Tara Mandala Retreat Center in Pagosa Springs, Colorado, established by Lama Tsultrim Allione. We offer weekly sangha meetings where we focus on the practices such as Shamatha, Vipassana, Prajña Paramita, Chöd, Feeding Your Demons, Green Tara, and others. Many of our practices are based on the Tibetan Buddhist lineage of Machig Labdrön, the 11th century Tibetan yogini who established the lineage of Chöd. 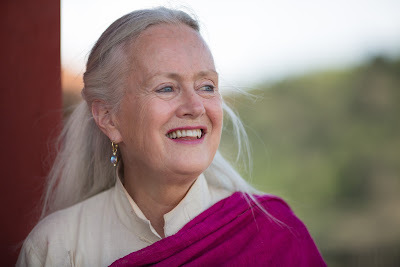 In addition to offering annual teachings with Lama Tsultrim Allione, we also offer regular courses with authorized teachers Ellen Booth Church, Lopön Chandra Easton, Robin Gayle, Polly Ryan, Karla Jackson Brewer, Jeff Tipp, Roberta Godbe-Tipp, and others. These courses explore traditional texts and practices as well as their application in the Western world. Stay in touch by signing up for our newsletter here! Tara Mandala Retreat Center with the Trikaya Tara Temple in the foreground (right). Tara Mandala is an international Vajrayana Buddhist community with its home base at 7,500 feet above sea level in the mountains of Pagosa Springs, Colorado. It is guided by Lama Tsultrim Allione, author of Women of Wisdom and Feeding Your Demons. Lama Tsultrim has studied Tibetan Buddhism under traditional teachers for more than 45 years. Today, opportunities for quiet contemplation are rare, and places dedicated to long-term retreat are even more scarce. Meditation has a profound effect on the individual and its benefits emanate into the rest of the world. In a chaotic and stressful world, Tara Mandala retreat center offers refuge, renewal and traditional Buddhist training through our residential Living Dharma program as well as group and solo retreats. Bordered by the San Juan National Forest and Southern Ute Tribal Land, the retreat center is on 700 acres of rolling hills and meadows adorned with many varieties of wild flowers, ponds, and forests. The land itself is a mandala with a stunning peak in the middle surrounded by four valleys. Retreat cabins are scattered across the landscape, and at its heart is the extraordinary three-story mandala Tara temple. Visit www.taramandala.org to learn more.